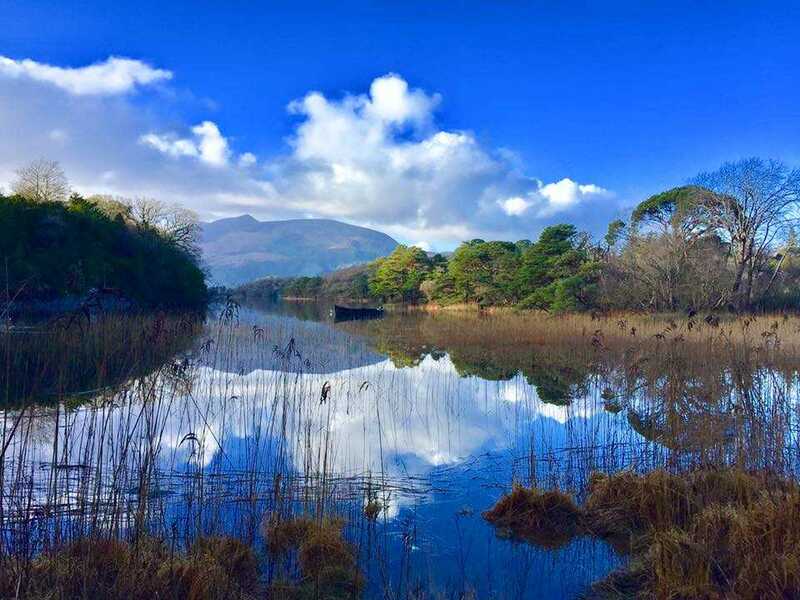 It is no secret that “The Wild Atlantic Way” along the western coast of Ireland beckons visitors from around the world and has long been a crowd favorite among Killarney Guided Tours' guests through the years. But it is so much more than the infamous Cliffs of Moher in County Clare and the Ring of Kerry in County Kerry. Spanning from Galway to Cork, the Wild Atlantic Way offers everything from those crashing waves and rugged coastlines to fields of green one can only imagine in their wildest, Irish dreams. But if you’ve previously explored the Ring of Kerry and you’ve peered over the Cliffs of Moher, what next? How about a photography day tour, or ideally a multi-day tour, based from the hub of the Wild Atlantic Way in Killarney, County Kerry, on a route to the actual westernmost point in all of Ireland? – A photography tour of the Dingle Peninsula and Slea Head. The Dingle Peninsula & Slea Head Photography Day Tour truly has it all. Considering the true majesty of the peninsula jutting into the Atlantic Ocean is not easily appreciated if you are attempting to drive yourself, let us drive you in safety and true executive class luxury. With us at the wheel, you won’t have to attempt to drive while simultaneously negotiating the winding roads from the "left" side, trying to squeeze by tour buses, avoid the occasional sheep and man the Sat Nav or tourist guide maps with someone shouting from the backseat to “pull over here”. Instead, by chosing a privately chauffeured tour with Killarney Guided Tours, you’ll simply sit back and enjoy en route to the art and food hub of County Kerry - Dingle. All the while, you’ll experience all the history and folklore the area and its surrounding natural beauty has to offer, while sharing our absolute favorite (and often little known) photography spots for those perfect pictures to take home. Through our years guiding guests, we have learned many visitors expend great amounts of energy and time merely getting to various destinations than they spend actually enjoying the journey itself. With personal passions for the true beauty, history and folklore of the region, including capturing it through the lens of a camera, we look forward to providing day tours or entire vacations for your family's memory books. Having spent decades capturing images in locations throughout Ireland, for no reason other than to memorialize for posterity the immense beauty of the land we call home, we are poised to share our gathered knowledge and interest in photography with you. On a day tour such as the Dingle Peninsula & Slea Head Tour, you’ll take advantage of those years of photography and be able to take home some of those same snapshots for yourself. After making your booking, you simply begin by telling us your interests, such wildlife or history, and we will handcraft your very own day to remember for your arrival. We’ll begin this Dingle Peninsula route on the Wild Atlantic Way from your local accommodations with a first stop in the majestic Killarney National Park to appreciate the natural beauty and wildlife of Kerry’s expansive jewel. Then it’s off to fantastic views of the now uninhabited Great Blasket Islands, the site of the Spanish Armada's fateful route. If history interests you, you can spend some additional time at the fascinating heritage centre and museum providing more in depth information about these Islands. You’ll then peer out to the breathtaking, Hollywood favorite location Slea Head, the filming site of the 1970 movie Ryan's Daughter and Tom Cruise and Nicole Kidman’s Far and Away. The opportunities for the very best photographs, in both morning & evening light, at some of our very favorite spots can be a priority or merely a tour bonus. It is entirely "Your Tour - Your Trail" on tour with Killarney Guided Tours. Once we reach the lively art and music town of Dingle, you’ll know exactly why this portion of the Wild Atlantic Way is not to be missed and a location visitors return to year after year. Being the perfect lunch stop on tour, with time to stroll the quaint streets and do a little local fare shopping or relaxation and sampling of Dingle’s own whiskey, this charming town will delight all ages. The entire day will be at your pace, no matter if you’d prefer to focus on capturing your own photos or simply sit back and enjoy the views. With plenty of photo opportunities and stops along the way, this won’t be a tour where you are stuck on someone else’s itinerary and timetable. After Dingle town your private day continues as we head over the Conor Pass and onto the bay of Tralee and wetlands. However, don't get caught up in hour by hour itineraries, as along the way, should any particular location on the Dingle Peninsula peak your interest, we can linger. Or, should you find that something along the way isn't your cup of tea, we’ll move along to another location and change the route accordingly. After all, Killarney Guided Tours is a leading provider of customized tours, recognizing this is your hard-earned Irish vacation. We therefore strive, at every twist and turn of the journey, to make it a day to remember from start to finish. Join Killarney Guided Tours for your very own privately guided and professionally chauffeured Dingle Peninsula & Slea Head Photography Tour, focused on capturing those once in a lifetime photos for your wall, your Facebook page or simply your mind’s eye. Book a day or a week with us and upon arrival on the Emerald Isle leave all the driving and worry to us. Simply sit back and relax on some of the often missed portions of the Wild Atlantic Way. We look forward to sharing this magnificent area of Ireland with you, whether you choose the 2018 season or the next.